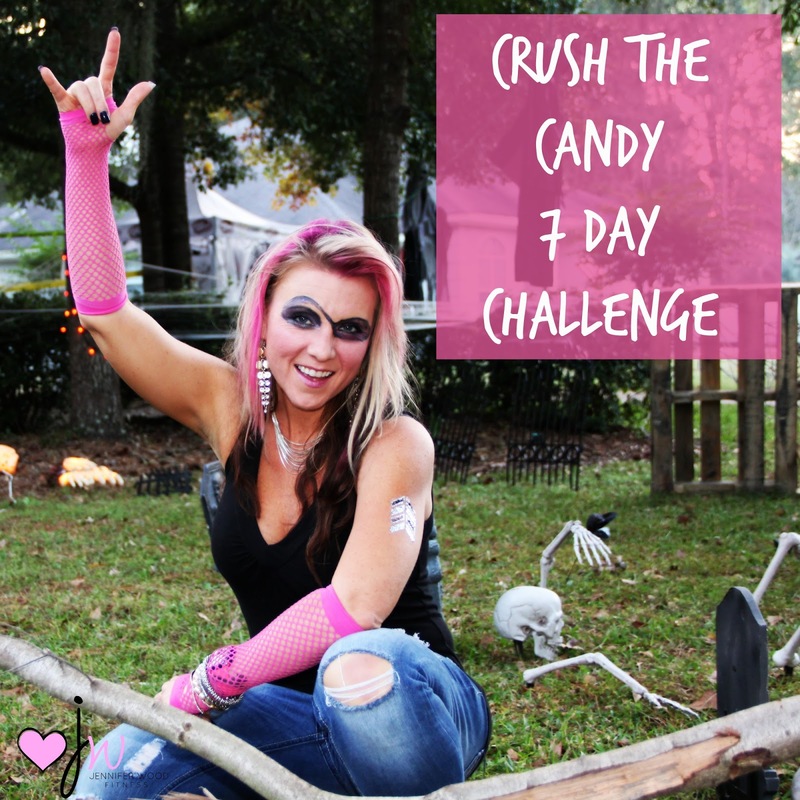 I’ll be running my 1st EVER FREE 7 day 🍬CRUSH THE CANDY Post Halloween group. Let’s hold each other accountable ONLINE and say NO to candy and sweet treats. We will also go over some clean eating tips, options when you need something sweet, and more. You don’t want to miss this. It will be a great way to lose a few pounds before Thanksgiving is here. I know I could use some wiggle room in my jeans! How about you? *Working out for 30 minutes 3-5 days is encouraged during this group, but not mandatory. The main focus is to get you moving towards your goals and keep you away from your kids bag of candy. Ha! :) Keeping it REAL! Or am I the only one who steals my kids candy? Here is the link to the Facebook event. Make sure to send me a friend request as well so I can add you to the group. Invite a friend, or 10, :) to join you. We start Monday, November 7th.